Window installers across Ireland can claim €125 worth of rewards, redeemable at top brand retailers and restaurants, every time they buy a VELUX INTEGRA® solar or electric roof window in September and October. 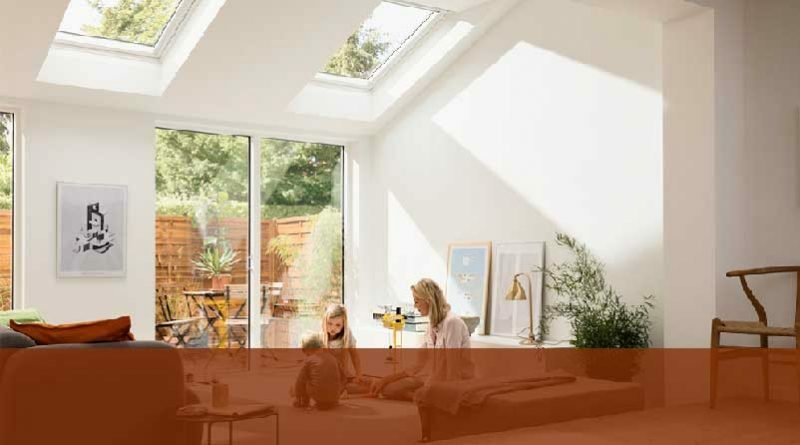 The latest installer offer from VELUX rewards customers with €125 for each VELUX INTEGRA® solar or electric roof window purchased, which are ideal for out-of-reach spots and perfect for flat roof extensions. The rewards can be redeemed at Argos, Ticketmaster and Milano. Grant Sneddon, Product Manager from VELUX said: “We’re urging installers and homeowners to take advantage of the fantastic rewards available to them when buying VELUX INTEGRA® roof windows. With a busy period of home improvement ahead over the next six months, there are thousands of Irish homeowners who will be considering adding more daylight to their existing or new extensions. “With upwards of 20,000 existing extensions without roof windows across the UK and Ireland, it’s also never too late to add daylight and ventilation to an existing space. Nearly half (47%) of home owners taking part in a survey by VELUX are planning to carry out home improvements over the next six months. For the majority of home improvers (59%), the main reason for renovating is to either update their interior décor or modernise their homes. However, one out of every ten (10%) home improvers is embarking on a project to create or improve space that they can spend more time together in as a family.